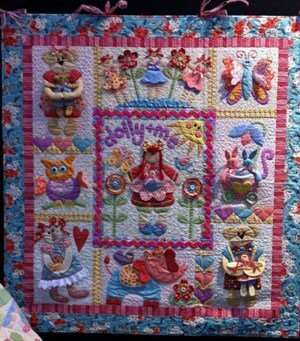 Australian Customers: Dolly and Me is a 9 part block of the month. When you purchase this item you will receive at the beginning of each month a pattern and all the fabric to make a block. Over the nine months of the program you will receive all the fabric to make the quilt top. The price is a monthly price. The postage quoted is within Australia. Should you want a faster program Please contact us. Fabrics supplied will be as close to the pattern packet colours as we can source.